Do you know what mastic is? If you are from the Middle East, I am sure you know. Outside this region, this traditional resin (from the Pristacia Lentiscus) is not so well-known. This chewable resin with a slight bitter intial taste has been used for ages. In fact the word “mastication” comes from this name. I wanted to talk today about the lebanese company “Master Chewing Gum”, founded back in the 60s. They have developed a lot during these years, of course, and are now well-established as one of the leaders in their region. 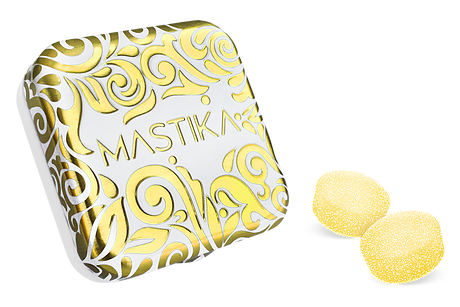 “Created in 2015 as part of the Strategic Business Unit of MCGC, MASTIKA is the first uncoated, sugar free and aspartame free mastic flavored chewing gum in the MENA region and thus in the world. The company has also more “common” chewing gums… or wait! maybe not so common, because their brand “Cheque Gourmet Gum” offers a range of sophisticated flavours such: “Birthday cake”, “Mojito”, “Liquorice” and “Frozen Lemonade”. They are sugarfree and aspartame free. You can learn more using the link to the website above.